Here in the “breadbasket of the world” it’s practically a sin to admit a lack of gardening knowledge. While so many San Joaquinians do find joy in getting their hands dirty—literally—those who have never tried but are interested in growing their own garden may not know where to begin. 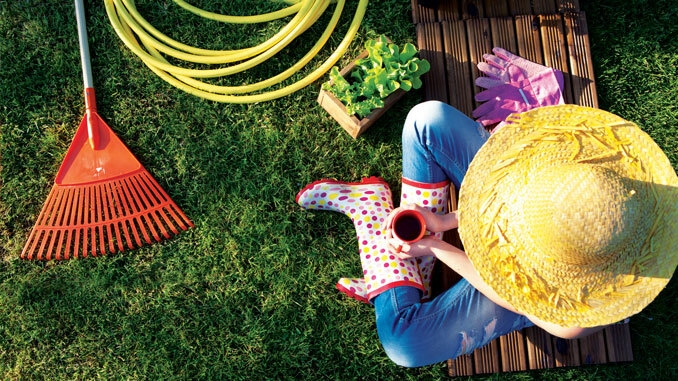 To lend a hand, we consulted local Master Gardeners to get the dirt on everything a rookie gardener needs to know. Not sure which veggies to plant? Do some research on Burpee.com for various vegetables and their growing seasons. Even better, stop by the UCE Cooperative Extension in Stockton—a fantastic resource for all things gardening—and pick up a few handouts on the subject! And don’t worry if you don’t have an empty plot of dirt just laying around your property—for a beginner gardener, the options for space are more diverse than you may think. While most choose the traditional route of gardening on land that’s available, you can also build a raised bed and fill it with soil, plant in large pots or containers, or, as the folks at In Season prefer, garden using only compost. Furthermore, if you use a soil test kit and find that it is either too alkaline or too acidic, finished compost can act as a neutralizer, bringing your soil’s pH to levels ideal for a wider range of plants. Another preparation necessity for newbies: Make sure you have all the tools you’ll need, including a shovel, trowel, rake, and a watering can if you can’t use a hose. And don’t forget the gloves and hat! After you’ve picked a spot, chosen your veggies, and gathered your tools, it’s time for the fun part—de-weeding. First, use your hose to soak the ground if you plan on weeding manually, as weed roots come up more easily when the soil is wet. If you’re gardening In Season-style, mow down the weeds as short as possible and pile on the compost. “If you put it on 6-8 inches thick, the weeds are usually buried,” says Eric. After that, it’s time to plant. If you’re planting with rows, make sure they’re a foot apart. If you’re looking for something more creative, consider keyhole or spiral formations in which to either seed or transplant your vegetables. After you’ve watered, grown, and harvested your vegetables, don’t just leave old crops on the vine. “Once the growing season is done, you want to dig up those plants. Sanitation is important to ensure that next season’s vegetables are healthy,” advises Marcy. And as for pests? Julie says to bypass the pesticides and let Mother Nature do her thing. “If you stop spraying poison in your garden, good bugs will start to visit because you’re not killing them. If you let it happen, the good bugs will come and attack the bad bugs, and you’ll get this balance going. But to get there, you have to be comfortable with having some bugs,” she says. Whatever the reason you pick up the hobby, whether it’s personal, ecological, or familial, of one thing we can be sure: There’s no better place to turn a thumb green than the fertile soil of San Joaquin.